A wide variety of ebooks are available online for free, legally I should add, if only you know where to look for them. While printed books have an inimitable charm, you can’t deny or ignore the appeal and convenience of ebooks either. We spend a major chunk of our day staring at glowing screens for work and leisure. It’s a great idea to devote some of that time to the joys of reading and utilize the interesting selection of books available for free at our fingertips. Project Gutenberg (our guide Project Gutenberg: More Than Just Free Books Project Gutenberg: More Than Just Free Books Sites like Project Gutenberg, which has over 45,000 books on offer (at the time of writing), will ensure that no book will ever truly disappear. Discovering obscure works of literature is now easier than ever. 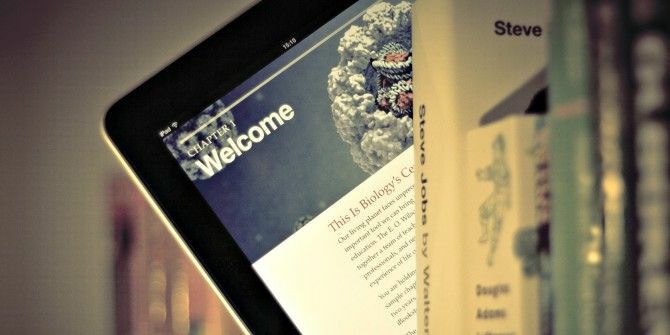 Read More ) is a fine place to start, as are a few other sites 4+ More Websites to Find Free eBooks for iPad 4+ More Websites to Find Free eBooks for iPad A while back we wrote about the best places to find free iPad books. The article yielded many useful comments and suggestions from you, and made me want to explore the area even more. I’ve... Read More that we have covered in the past and then here are three more interesting ones listed below. TowerBabel is not strictly a site for reading, and reading is not really the primary focus of the website; collaborative writing and publishing is. That said, the site offers a fair-sized and ever-expanding collection of fictional and non-fictional work for readers, wrapped up in an inviting interface. The books are not limited to out-of-copyright works. Thanks to the publishing opportunities provided by TowerBabel, many writers and bloggers, both professional and amateur, put up their work on the site, all of which you can access for free. Filter ebooks by title, author, or categories, and when you find something interesting, dive right in. 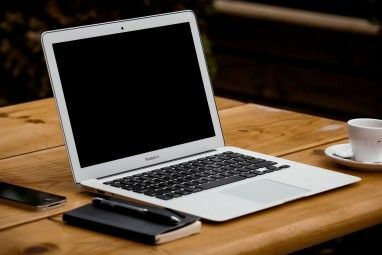 There’s no signup required unless you want to rate or review a book, or publish an ebook yourself. In past articles, we have mentioned NoiseTrade 5 Resources Used To Find Free MP3 Albums For Sound Sunday 5 Resources Used To Find Free MP3 Albums For Sound Sunday This is a special edition of Sound Sunday, in that it's not published on a Sunday and it doesn't contain any free albums. However, if you have ever wondered how I have been able to... Read More as a source of free music albums. Did you know that the site also hosts free ebooks? It is a community-building effort to put authors/publishers and readers in touch with each other. Some of the ebooks are available for free in their entirety, while others appear as sample chapters. By sharing your email address and postal code, you can download ebooks from various genres, in PDF/ePub/Mobi format, and even embed them on your website. In return, you get the opportunity to discover the work of contemporary authors, and even support them by leaving tips and sharing their books via social media. The option to contact the authors directly is a smart feature. It has the power to create meaningful relationships between authors and readers, which is what NoiseTrade is mainly about. The site also has free audiobooks for download. We had introduced you to ReadPrint with a short feature overview ReadPrint: Read Whole Books Online ReadPrint: Read Whole Books Online Read More a few years ago. The site’s approach to ebooks is also community-driven, as we have seen in the case of TowerBabel and NoiseTrade. Plays, essays, poetry, short stories, novels — they are all available for reading on ReadPrint. Paid ebooks are listed alongside the free ones, with a link to the corresponding Amazon page. If you’re familiar with Goodreads, you’ll find some similar features on ReadPrint, such as the option to create and maintain your own bookshelf, rate and review books, create groups, join forums, get recommendations, and browse quotes. 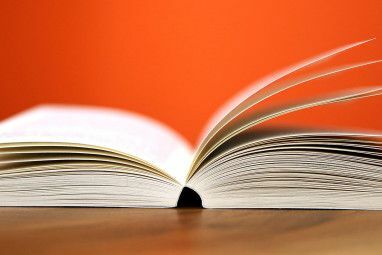 The added advantage is that ReadPrint is not limited to cataloging, as Goodreads is, and allows you to read books online. The site is free to use, and does not require registration if all you want to do is read. If I had to describe ReadPrint in one sentence, I’d call it a cross between Goodreads and Project Gutenberg. Reading opens up a whole new world of emotion, experience, knowledge, and understanding. It can quickly turn addictive, albeit in a good way. Books make it easy to visit faraway lands and to learn anything from the comfort of your couch or wherever else you happen to be at any given moment. What’s more, with zero-dollar offerings from websites like the ones above, you don’t have to worry about whether you’ll be able to afford the books. A portable digital device with free ebook software and a bit of time on your hands is all you need to indulge in the pleasure of reading. In keeping with the subject of the article, it’s time for a tiny reminder here. 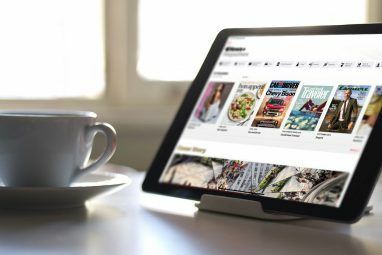 When you’re looking for ebooks related to tech or digital media, be sure to explore MakeUseOf’s free eBook section, where you’re bound to find some useful answers. Do you know of any other websites that offer free ebooks (on the up and up, of course)? List them in the comments. This is a simple idea but oh-so free. Get a library card. Wherever you live. Your library probably has free e-book borrowing. It's simple. Current titles, not just out-of-copyright classics. Download the free Kindle app and read on whichever device you choose. Or read as E-pubs. I'm a middle aged technophobe and I've checked out dozens of books to read on my desktop, phone, and Kindle. You should include some links for Spanish readers because your web site is following not only within the US. I can recommned to you espaebook with a wide selection of books. Hope you an consider this in the future. I've been using Scribd with a three-month free trial, and found it excellent. It's like Netflix for ebooks, and is worth a look. It also works on just about any device you might have. Normally, they offer one month free for new subscribers, but this link - http://www.scribd.com/moremagazine - allowed me three months free, then $8.99/month after. They also sell multiple-month blocks for lowered cost. Or you can just quit before your three months are up. I may keep it, though, since I've found a lot of stuff in there worth reading. There's also tons of user submissions, primarily college-level articles and papers, but also many out-of-print references and some bootlegs. Thanks for the recommendation, Bill. I have used Scribd before, but that was a long time ago. Time to sign up again! I think TowerBabel was a pretty nice recommendation. It's got a decent interface and serves a good chunk of free books. All in all, it do me goooood! Many libraries offer current, in copyright, books in DRMed ebook formats for timed checkout. My local libraries (my county library and the county next door which has reciprocal privileges) offer 21 day checkout of ebooks (and downloadable audio books and magazines). My ebooks are handled through Overdrive which has a library search function. Other libraries may use Adobe or other software. Libraries may also offer holds or waiting lists for popular titles. Archive org has enough free reading material to last a lifetime. Lots of the books were written before political correctness became the standard context too. Its so refreshing to read objective, blunt facts rather than the predictable drivel we have these days. I use BookBub which is a site/service that seems to magically find free or discounted books on Amazon for the Kindle, iTunes for the iPad / iBooks, and Barnes & Noble for the Nook, and others. It allows you to choose the genres of books you enjoy and whether you get a notification once a week or daily. I have found a number of new less Mainstream authors who write interesting works. BookBub looks quite interesting, and the ebook display on the right side of interface is beautiful. Also, the book deal updates seem particularly useful. Thanks for the tip, Steve.